It is now possible to characterize the world telecommunications market in a word… a synthesis. This is a synthesis of all technologies, devices and companies etc. At a given stage these technologies and the decisions that meet the requirements of a given time are competitive only. These are wireless-type technologies – “all in one”. This technology is the first representative of a new concept of evolution in networks and provides access for subscribers to the information and telecommunication services given by a system and / or adjoining networks and is aimed at the decision of a problem of “last mile”. This system is only possible and economically justified way for the majority of regions with less-developed infrastructure. Poor quality of the existing telecommunication networks and switching equipment create a broad field for highly productive activities. 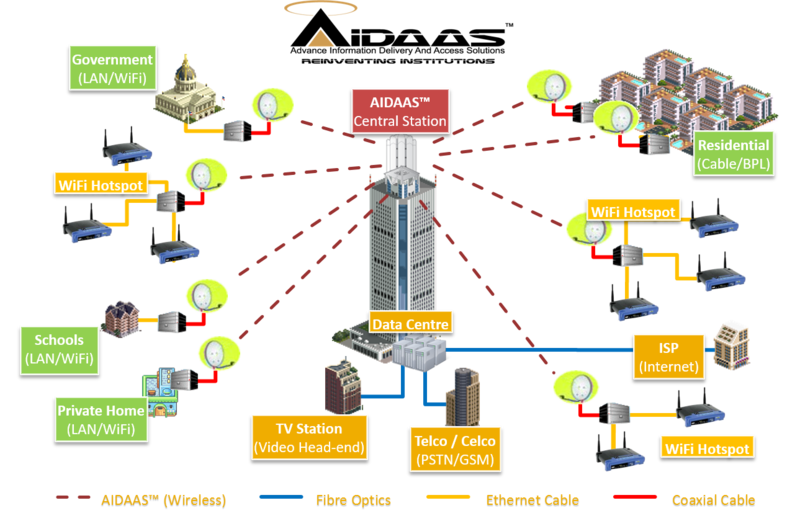 High functional capabilities of the system, on one side, and low cost, quick payback with light start investments, on another side are most important characteristics, owing to which wireless solutions recently became business starting point. Any other IP-based services like : e-Commerce : interactive business applications; e-Surveillance : live-feed captured from CCTV; distance learning, telemedicine etc.